Nestled in Nature Soaring hillside views and hundreds of acres of open space set the scene. A true master-planned community featuring luxury amenities and a neighborly feel, Travisso is an idyllic blend of modern comfort and natural surroundings. Embrace an active lifestyle with hiking and biking trails and a stunning resort-inspired amenity center. Cool off in the pool. Sip a glass of wine by the fire pit. Enjoy a game of tennis. This is the life you've been waiting for.Explore TravissoA Location Worth Moving To Leander is a thriving town just 5 miles from the outskirts of Austin in the Williamson and Travis Counties real estate market. One of the fastest growing cities in the region, buyers of new homes for sale in Leander, TX enjoy suburban peace and quiet with easy access to high-tech employment centers and the urban delights of Austin. Leander is served by MetroRail and the new 183 Toll Road. Drive to downtown in just 30 minutes! A small town that packs a big punch, find plenty of shopping opportunities at Lakeline Mall, 1890 Ranch Shopping Center and Round Rock Premium Outlets. 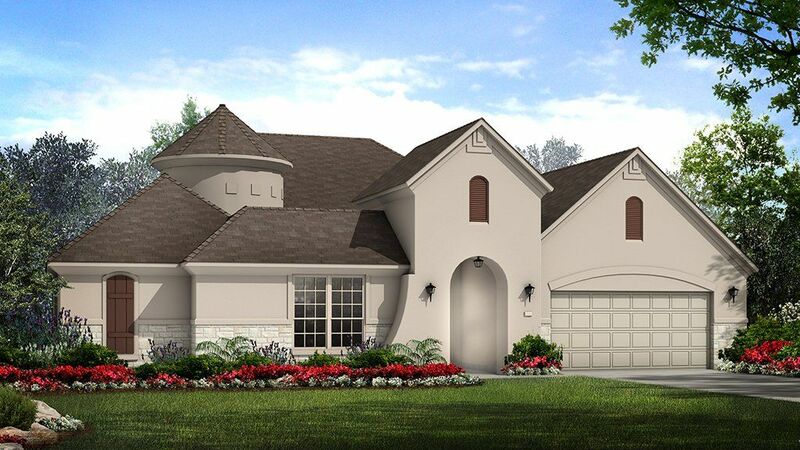 Catch a show at Cedar Park Event Center, play a round at Crystal Falls Golf Club or enjoy water sports at Lake Travis.Expertly Crafted Floor Plans Austin new home construction designed for the way you live your life. Optimized for daily comfort and gracious entertaining, every Naples Collection floor plan features the following popular design concepts as standard:Fabulous Gourmet KitchenSpacious Open-Plan Great RoomElegant Owner's Retreat with Walk-In Closets and Lavish Master Bath As always, every Taylor Morrison Greater Austin new home is constructed to exacting standards with quality energy-efficient materials. Plans available with 3 to 5 bedrooms. Personalize your space with exciting options and upgrades. Value, comfort and style.